Kru Live have grown every year since our inception in 2005 and we are now looking to grow our team once again in readiness for our anticipated workload in the coming months. The role will be to assist our Financial Department. Working within an established team, you will need to be meticulous, trustworthy, customer services driven, a fast learner, have great IT skills (Excel, Office, Google docs) and have excellent verbal and written communication skills. Previous experience in a financial role would be a great but not essential. Hours: 3 days a week, 9-5pm (Open to discussion, however Wednesday is essential). The first contact for all internal and external financial queries incoming to Kru Live and Kru Talent. Working from a master Excel spreadsheet to input, modify and update bookings from Account Managers as well as respond to client and staff/performer financial queries via Email or phone. Generating invoices on a daily basis to send to clients in a timely fashion. Monitoring incoming payments and resolving any delayed payments to ensure all accounts are up to date. Correctly and efficiently completing staff/performer payroll on a once-a-weekly basis as well as preparing partner invoices to be paid within the correct timeframe. � � � � � Allocating and highlighting incoming payments onto a master spreadsheet. � � � � � Adding recent bookings and necessary invoicing data to the master spreadsheet. � � � � � Generating invoices on MS Excel and sending to accounts and clients via MS Outlook. � � � � � Responding to internal and external financial queries for Kru Live and Kru Talent. � � � � � Enquiring with appropriate contacts for any delayed payments and updating the master spreadsheet with progress. � � � � � Process supplier invoices for payment. � � � � � Completing a weekly payroll for Kru Live and Kru Talent staff. � � � � � Regularly filing away all financial documents correctly. 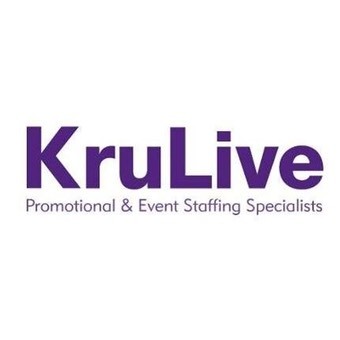 � � � � � Ensuring the master spreadsheets from the Kru Live and Kru Talent Directors and financial invoicing spreadsheet are matching with projected job costs. � � � � � Updating and enforcing client pay terms for internal purposes. � � � � � Creating streamline financial processes. � � � � � Efficiently complying credit card expenses from internal staff and allocating the costs correctly for bookkeeping and auditing. � � � � � Regularly liaising, working and updating the Financial Director and Managing Director on all financial matters.